The End is Nigh is finally hitting Nintendo Switch on December 12, 2017, and will be getting both a physical and digital release. Ever since the game was first revealed, fans of the upcoming The End is Nigh have been wondering when the game will be officially released on the house of Mario’s latest console. Well, today the wait is finally over, as developer Nicalis Inc. announced that the game will be hitting Nintendo Switch in a little less than a month, on December 12, 2017, to be exact. Interestingly enough, not only will the game be available as a download on the Switch’s eShop, but it will also hit as a physical release as well, so all you collectors out there better get a space ready on your self. The physical edition also includes a sticky toy based on the in-game character Ash. Both versions of the game will set players back $29.99. In The End is Nigh, players take control of the aforementioned character Ash, as he attempts to find someone he can call a friend after some type of apocalyptic event wiped out most of the world. 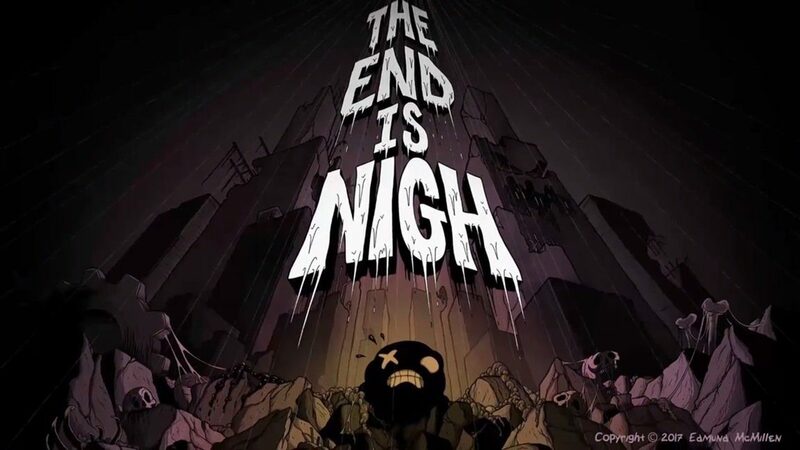 While both versions were announced at the same time, The End is Nigh came to PC first, on July 12, 2017, just a little over a month after the game was announced. Hopefully, other versions of the game won’t take as long to release, however, with no date planned for any other editions, that’s not looking likely.